Hey there! Here's another series on this blog. Let me introduce you to the Save or Crave topic where I will compare two products that very close to its functionality but very distinct in terms of the prices. That way you can decide whether to splurge or to save up your money and get the cheaper product. I find topic like this more helpful for you to make decision on which product to go for. Not to mention, sometimes it is just the branding that cost a lot, whereas you can get similar product for lesser money. 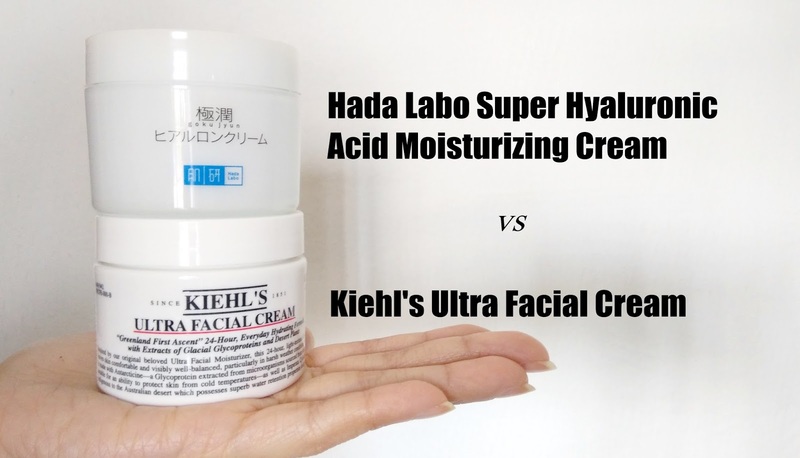 To start off, I will be comparing the Hada Labo Super Hyaluronic Acid Moisturizing Cream against the Kiehl's Ultra Facial Cream. texture is a bit watery. When comparing moisturizer, I always wish I have the moisture level test machine to find out which product works better. In terms of efficacy, I wouldn't be able to tell which one gives better moisture without the machine. Both are equally good, according to my layman observation. I've completely use up the Kiehl's UFC and enjoying the Hada Labo for now. 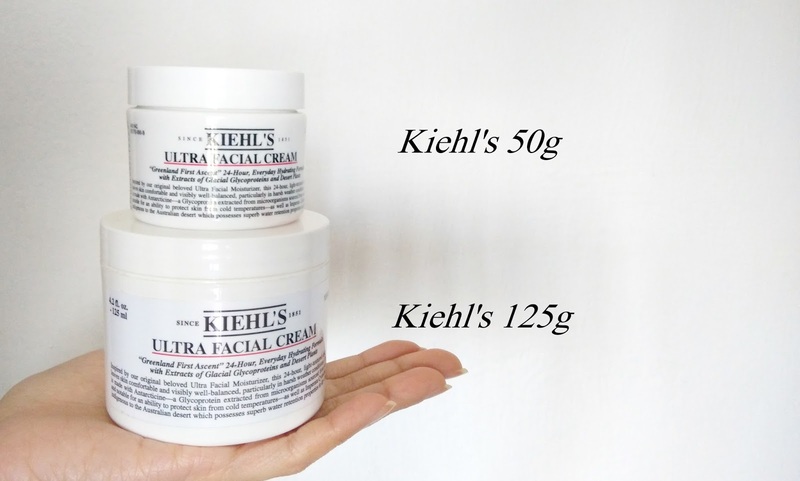 At the same time, I went on to stock up the 125g Kiehl's UFC. I'm so indecisive which is better. I find both of the products are very similar. Both have no fragrance, colour, alcohol, and mineral oil. And in terms of product efficacy, both do a very good job as well. If you blind-fold me, I wouldn't be able to tell the difference, unless I get to touch the texture. 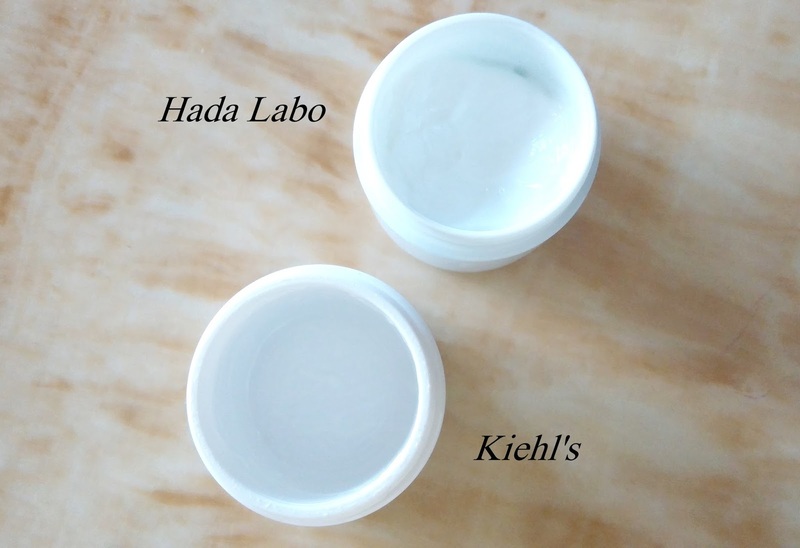 The Hada Labo one is slightly thicker than the Kiehl's one. I love both of the products and if price isn't a factor, I wouldn't be able to pick a favourite. 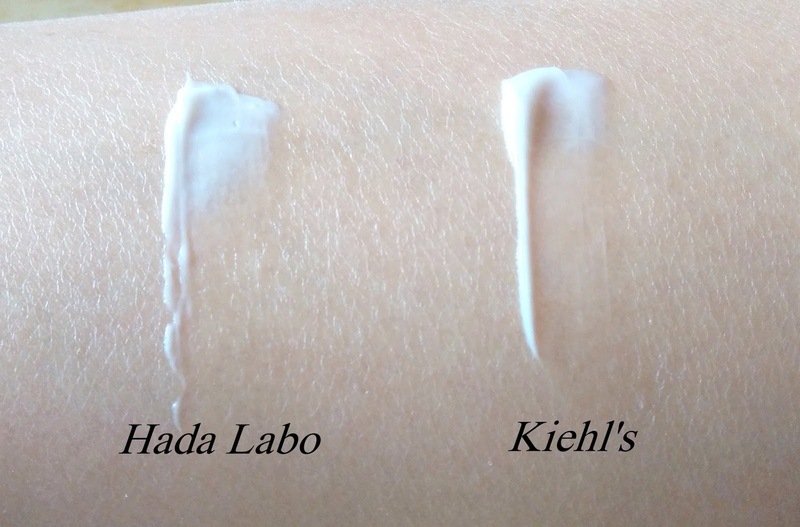 In my humble opinion, if you don't wish to spend too much on a moisturizer, the Hada Labo one is pretty adequate. It is always nice to save some bucks for rainy days, moreover the Hada Labo one is almost half the price of Kiehl's. If you are lucky, you might bump into sales at Guardian or Watson that offer lower price. 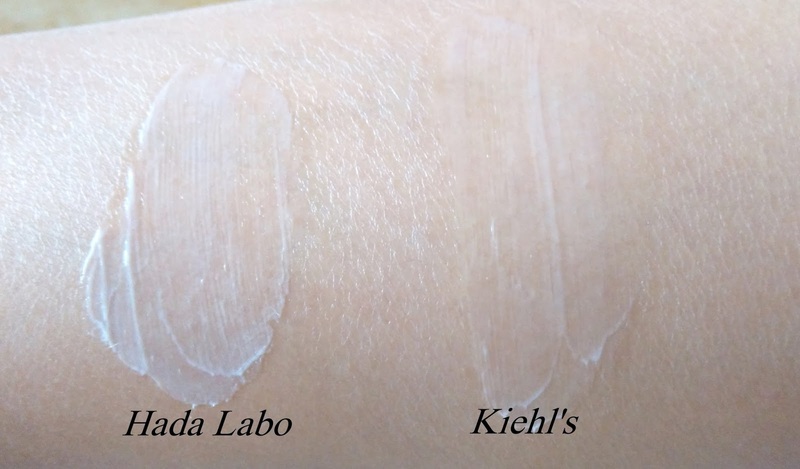 If you are looking for moisturizer for night use, Hada Labo is better choice because of the thicker texture. On the other hand, Kiehl's one is nice to have if money is the least of your concern. Once a year Kiehl's will feature the bigger jar (125g) for only RM150 and the proceeds will go to charity. If you have the chance to grab the bigger jar, do purchase it for their charity drive. It might be an overrated campaign, but at least you know that your purchase will help someone that really needs the money. When I break it down per gram, the 125g jar cost about the same price as the Hada Labo one. If you are looking for moisturizer to keep you hydrated during the day, Kiehl's is a better option because of the watery texture. Opinions are based on my own observation. It is up to your own decision which one you want to go for. Do comment below which one you would purchase and why. Let me know if the "Save or Crave" post is useful. If it is I will do more of such post for other skincare, makeups and bath & body products too. P/S: If you know where to get the moisture tester machine, do let me know. I'm desperately looking for one. Thanks very much for this "VS review"! It's always great to read up on these so that we'll know that we're getting more bang for the buck. =) I found this incredibly useful, especially now since my skin has been drying out recently. Thanks very much! i love the ultra facial cream! normally i use it at night cos im sleeping in aircond room and if i have zits pop up, i'll dab some on them and it always miraculously dries my zits overnight!